Choosing a new platform for your website is stressful. You don’t want to start with one website platform only to find that it is outrageously expensive, too difficult to use, won’t integrate with your other systems or doesn’t offer a needed feature. Luckily those descriptions are less applicable to WordPress. Its large user base means that you can more easily find people with the knowledge to design, fix or customize your website. With a huge usage base, developers have created tens of thousands of themes to choose from. WordPress comes with free themes, but you may want to invest in a theme with more a certain look, additional features or ongoing support and upgrades. Although WordPress itself free, you will sometimes need to pay extra for plugins that expand the capabilities of WordPress beyond its core offering. Plugins such as your donor or or member directory will charge for the service they provide. If you compare the price of a WordPress membership plugin to all-in-one systems that combine a content management system with a membership CRM, you will pay less with the WordPress solution. Aside from plugin purchases, which may incur a one-time or ongoing fee, other ongoing costs to anticipate include website hosting, domain name registration and a security certificate. Have very specific your design ideas or seek to emulate the look of another website. Want to be sure you are following best practices that come from years of experience. Because of WordPress’s dominance of the CMS market, many developers choose to build plugins for it. The wide availability of plugins means that you, your designer or developer can quickly add new functionality to your website without expensive and time-consuming custom programming. If you choose a platform that is closed or not open source, you will be limited to the features available at the time of purchase or beholden to the platform creator’s interest in adding more features. For example, even if you are satisfied with your current donation platform or WordPress membership plugin, down the road you can upgrade to another one with more features such as additional membership payment options or an online membership directory. And the number of membership plugins available for WordPress greatly exceeds the number of Weebly or SquareSpace membership plugins, so you’ll have more choices too. If you have worked in a nonprofit long enough, you have likely witnessed the ugly process of changing systems. Whether it is a new phone system or membership billing change, technology change will always bring friction for staff and those they serve. The learning curve is the most painful part of the process. 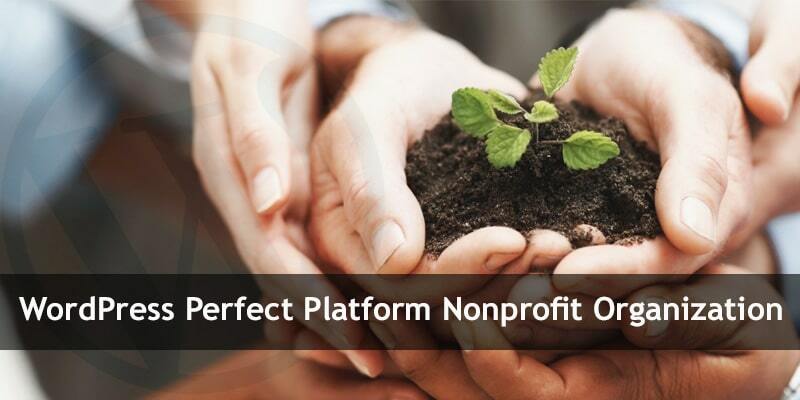 Having a platform that minimizes change means it can last longer than other solutions. If you want to change your website host, a WordPress site can be fairly easily moved. Some hosts even provide moving assistance or a plugin to handle the move for you. Instead of moving to a new platform for your whole website to add features, you can typically just change or add plugins. With thousands of themes to choose from as well as highly customizable drag-and-drop page builder options, all you need to do to redesign your site is to change themes. You This saves you time; you don’t have to move your content to a different platform. Redesigning a WordPress site instead of changing platforms is good for SEO. You will retain your search engine results page position; the pages that Google has crawled will keep the same URLs. Redesigned sites can lose search engine ranking if care is not taken to either keep the same URLs or create redirects from each page’s old location to its new location. WordPress has a great linking structure available for blog posts and pages. You can set up your permalinks to reflect your blog post titles, which are more likely to contain your keywords. More keywords in your URL equals better placement in search engine results. WordPress has plugins that can help you write search engine-friendly copy and set up your metadata for each page. There are many plugins available for social media sharing. The more your pages are shared, the more respect Google gives to your site in search engine rankings. WordPress themes are mobile-friendly. Google gives ranking preference to mobile-friendly sites. As long as you are using a more recent WordPress theme, your website will have responsive design, which means that it scales to the width of the viewer’s device. Major versions of WordPress get released every 152 days on the average. Because it is open source software, the potential number of contributors working on improving WordPress is unlimited. No other content management platform or closed system has this potential. Amy Hufford is a Technologist at MembershipWorks. She has worked in nonprofit technology for more than 20 years and has experience with a variety of donor and membership software platforms.